Simulate the experience of a real casino! 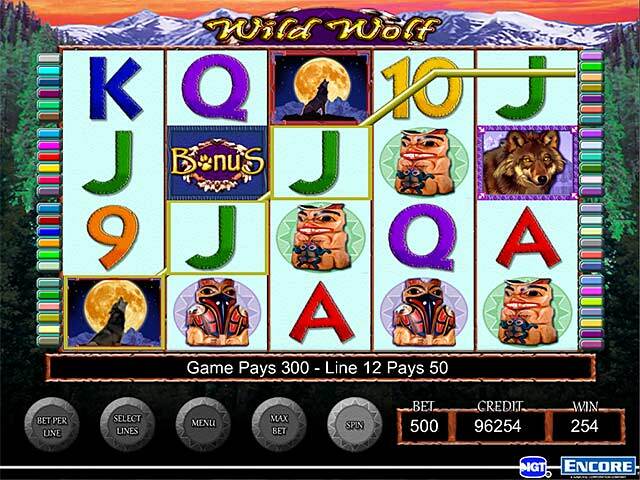 Two video slot games and two mechanical slots included! Six denominations, from 1c to $1.00! 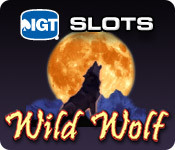 IGT Slots Wild Wolf is rated 3.4 out of 5 by 12. Rated 5 out of 5 by cindyesp from awsome game love graphics just like at casino just like at casino great graphics. Rated 5 out of 5 by pdxnate71 from its so awesome !! I think its a fun n awesome game but it should either get more bonuses or the bonuses pay out more !! Rated 5 out of 5 by smithrelo from Bet the MAX and WIN!! 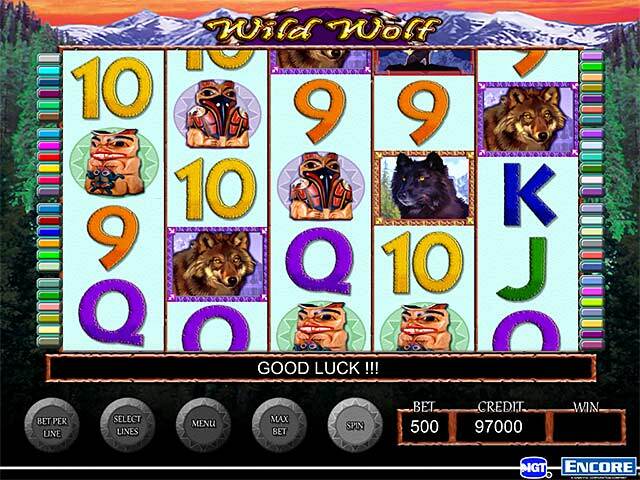 This game is identical to the casino game and I won lots of bonuses - highest was $27,900. Finished with $135k - fun and fast game!! 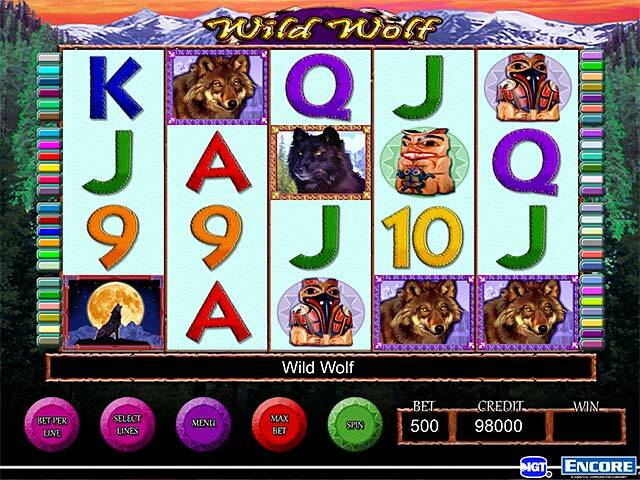 I played Wild Wolf the most! Rated 5 out of 5 by ppasolvr from Just like in the casinos I live just across the river from Laughlin, NV, so I tried this one as the Coyote & Wolf games are a couple of my favorites. These play just like in the casinos... unfortunately, I did about as I do at the casinos, quickly down $200. It was fun to "bet max," tho, as I surely don't do that in the casinos, being a "local." Also, I was able to win on the Diamond game, and I'm up $200 now. This is a great game to really get the feel of real casino slots! I will be buying it next Monday. Rated 5 out of 5 by ledheadmelli from I'm rich, rich, rich! Very enjoyable game - I was nearing $100k when it shut down on me, tempting me to use a credit and hopefully retrieve my "money". I'll probably wait until it's a DD, but I'll definitely buy it then. While this is not my usual genre, it's nice to have something to play occasionally that doesn't require me to think so much. And it's great watching your bank grow, as mine were paying more often than not. If only real slots were as generous..... Definitely recommend this, at least as a demo. Not a bad buy, for those who aren't as tight-fisted with their credits as I am. Rated 5 out of 5 by bigfishsusan53 from fun slots games its very good game of slots. I like the game very much. Rated 1 out of 5 by planetankh from Dull, boring. Pointless. Played the hour trial and never once hit a video bonus game. No big wins easier. The visuals & graphics were elementary & sound annoying. I would have quit after 10 minutes except I wanted to see what a bonus game was like. Never happened. C'mon folks- if we're not playing for money you have to give us something enticing enough to continue playing! Rated 1 out of 5 by sphillips196 from Not fun Have played many slot games. VERY boring. Where are the fun bonus games. There is better technology out there for games.